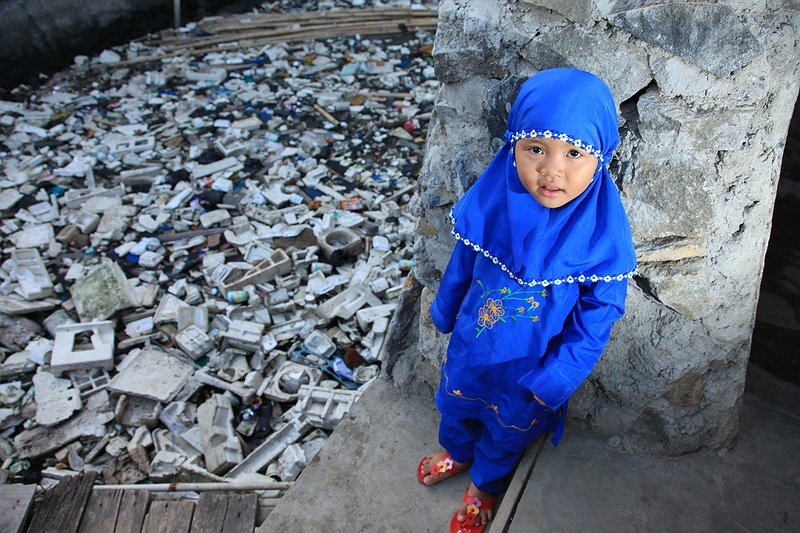 A young girl outside her family's home in one of the seafront slums of Jakarta. The UN Human Settlements Program estimates that 26 percent of Indonesia’s urban population live in slums. Greater Jakarta housing some 5 million alone.